“WHO” knew that this mug could be the hottest new item at your White Elephant Gift Exchange? To ignite the adventure and the rest of the party’s activities, pouring coffee or any hot liquid into the cup launches the Tardis into space and time to ready him for his next adventure! 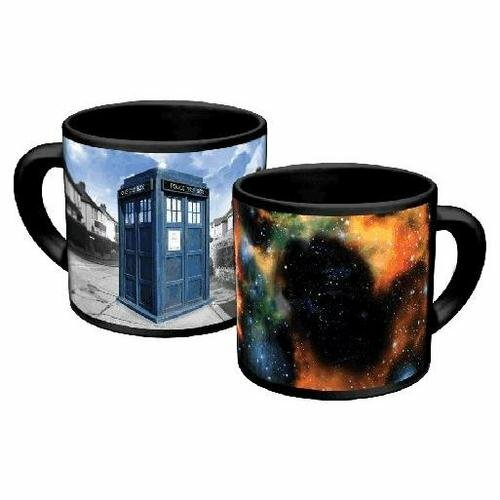 The Disappearing Tardis Mug is the perfect gift for the fan of coffee and Dr. Who! It is simply “out of this world” how great this mug will look in your hand with some hot steamy coffee. We would suggest that you have a bit of hot water handy when this gift is opened, so that you can demonstrate the fun! Any unique coffee cup will make a good white elephant gift for the game, so we have included a full market of fun mugs. We call it Cup of Joe!